The Chicco KeyFit 30 and NextFit keep the top spots in our updated car seat report, but the Evenflo SureRide DLX is our new budget convertible pick. The SureRide is a bit pricier than our former top choice, but it is easier to install and has higher height and weight limits, which make it an even better value. Specs that Matter Wt./Hgt. capacity – 30 lbs., 30" Machine-washable cover – Yes Seat weight – 9 lbs. The Chicco KeyFit 30 is still the infant car seat to beat because it's the easiest to use, reviewers say. Installation is a dream with an easily adjustable base and push-button LATCH connectors, and the car seat cover is easy to pop off and toss into the washing machine. Moreover, the KeyFit 30 is safe -- it scores the highest possible marks in experts' independent crash tests even without some of the fancy safety extras that other seats boast. Specs that Matter Wt./Hgt. capacity – 30 lbs., 30" Machine-washable cover – Yes Seat weight – 7 lbs. 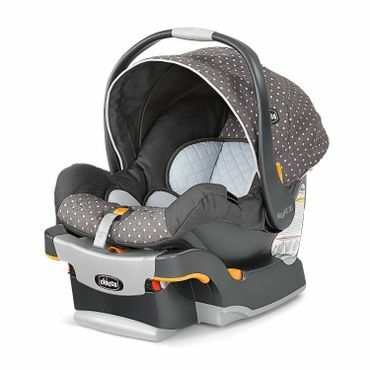 Graco's SnugRide infant car seats have long been among parents' favorites, and the Click Connect 30 is one of the best values in the SnugRide line. The seat earns solid marks for ease of installation, and parents say the ample padding and large sun canopy keep their babies comfortable. At 7½ pounds, the SnugRide Click Connect 30 is also one of the lightest infant car seats on the market, making it easier to carry even when it's filled with a growing baby. Specs that Matter Wt./Hgt. Capacity – 45 lbs., 44" (rear-facing), 80 lbs., 57" (forward facing), 120 lbs. (booster) Machine-washable cover – No Seat weight – 23 lbs. 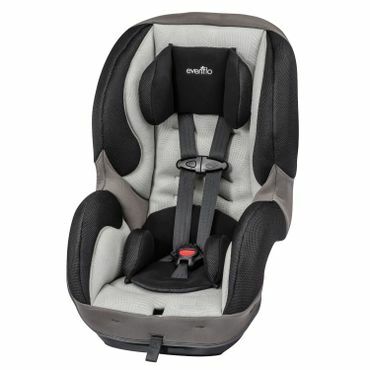 The Diono RadianRXT is a longtime standout that continues to fill an important niche: It's a very narrow car seat that can fit three across without sacrificing height or weight capacity. In fact, children as heavy as 80 pounds can still fit in the seat forward-facing, and then they can use it up to 120 pounds as a booster. Though it has a tall frame, an optional angle adjuster can help parents install the RadianRXT at a more upright angle, saving front-to-back space, too. Specs that Matter Wt./Hgt. capacity – 40 lbs., 40" (rear facing) 65 lbs., 52" (forward facing) Machine-washable cover – No Seat weight – 14 lbs. Parents with a smaller car or smaller budget appreciate the Safety 1st Guide 65 for its small footprint and modest price. Unlike some other inexpensive convertibles, the Guide 65 still can accommodate children as heavy as 65 pounds forward-facing, and it gets good marks in independent crash tests. Not only is the Guide 65 narrow enough to fit three across, it's short-shelled enough to be a good candidate for compact cars without a lot of space behind the front seats. Specs that Matter Wt./Hgt. capacity – 40 lbs., 49" (rear facing), 65 lbs., 49" (forward facing) Machine-washable cover – Yes Seat weight – 25.5 lbs. Bulky convertible car seats can be beasts to install properly, but reviewers say the Chicco NextFit bucks that trend. SuperCinch LATCH straps and nine built-in recline positions are among the features that make getting a rock-solid installation no problem. The seat also boasts a no-rethread harness and machine-washable cover. All this ease of use doesn't sacrifice safety -- deep head wings and a steel-reinforced frame help make the NextFit a standout there, too. The NextFit is also long-lived, accommodating kids up to 65 pounds. Specs that Matter Wt./Hgt. capacity – 40 lbs., 40" (rear facing), 65 lbs., 54" (forward facing) Machine-washable cover – Yes Seat weight – 14 lbs. Cheaper convertible car seats sometimes have lower height and weight limits, but the Evenflo SureRide DLX can keep big kids safe up to 65 pounds and 54 inches. At 14 pounds, it's lighter than many convertible car seats – a nice bonus for parents who may have to move it from car to car – and fairly easy to install despite basic features in that category. The SureRide also receives the highest possible safety ratings from independent testing organizations. 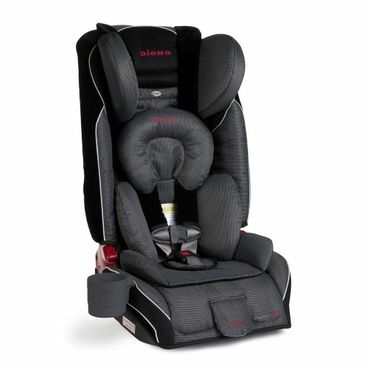 Infant car seats are designed to be lightweight and portable. Parents can detach the seat from a base they leave in their vehicle and carry it using the attached handle or pop it into a stroller frame for easy transportation outside the car. Most infant car seats are approved for babies 5 pounds and up and have weight limits around 30 pounds, though some may have higher or lower capacities. Height limits usually range from 29 to 32 inches. Seats with higher height and weight limits buy parents extra time before they have to think about switching car seats, but they're often heavier to carry. Also remember that infant car seats are only meant for use rear-facing. Convertible car seats are heavier than infant car seats and are designed to stay put in the car. They can be used rear-facing for smaller children and forward-facing for older children. Many convertible car seats can accommodate children up to 40 pounds or more rear-facing, and 65 or 70 pounds forward-facing. Height limits vary widely among seats, but common rules include that rear-facing children have at least an inch of seat shell above their head and that forward-facing children's shoulders must be lower than the top slot used for the harness strap. In general, seats with taller shells have the longest life span, but they often hog more front-to-back room in a car. In addition, seats that accommodate bigger children are among the most expensive convertibles -- but the investment may pay off if you don't need to buy another seat before your child can use a booster seat, which we cover in a separate report. For parents used to infant car seats, the sheer bulk of convertibles can be a shock -- especially when they end up hogging half the backseat. Compact convertible car seats are designed with smaller frames, which can be especially useful if you need to fit two or three car seats in one row or must install a convertible car seat in a car where legroom is already limited for the driver or front passenger. But beware: A seat billed as compact may not save front-to-back room even if has a narrow width, or vice versa. Some compact seats have lower height and weight limits, meaning they won't last as long. They also may feel confining for bigger kids. There have been a number of recent high-profile car seat recalls. In July 2016, Combi recalled 39,000 Coccoro convertible car seats because they didn't provide sufficient protection from crash forces in a forward-facing position. In January 2016, Britax recalled 71,000 B-SAFE 35 and B-SAFE 35 Elite infant car seats because the seat handle could break while in use, posing an injury risk. 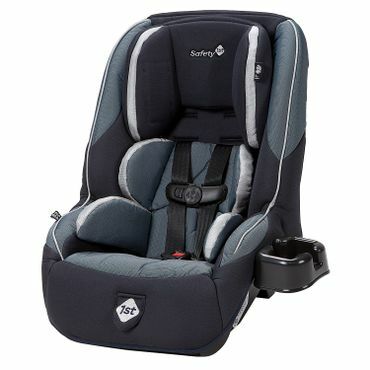 In August 2015, Britax also recalled about 200,000 of its Advocate, Boulevard, and Marathon ClickTight convertible car seats because the harness adjuster was staying in the "release" position, allowing harnesses to loosen. In 2014, Graco recalled a staggering 6 million infant and convertible car seats due to overly stiff harness buckles that could pose a safety risk during emergency exits. 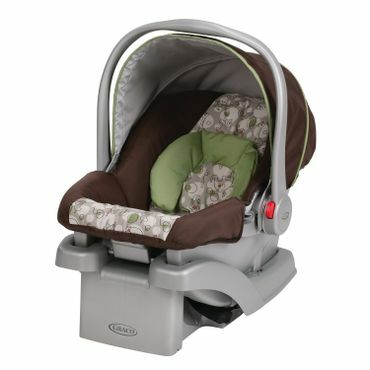 After the initial Graco recall, Evenflo recalled more than 1 million seats for a similar reason. Recalls are just one reason you should never buy a used car seat. Buy new and be sure to register it, and you will be notified of any recalls. 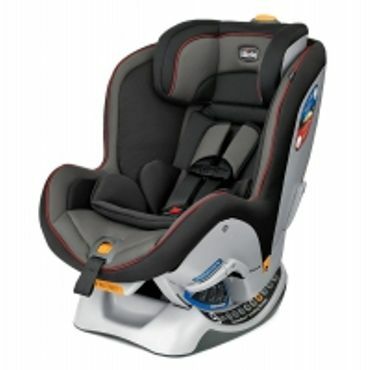 You can check the current recall status of any car seat at the NHTSA website. "Best Infant Car Seats of 2016"
There are a number of quality resources for car seat reviews. Most notable are sites such as ConsumerReports.org, BabyGearLab.com, CarSeatBlog.com, CarSeatsForTheLittles.org and TheNightlight.com, which conduct thorough hands-on tests of car seats looking at a number of factors. The National Highway Traffic Safety Administration also rates car seats on overall ease of use. Reviews and ratings that fuse expert opinions and parent feedback, including resources from "Baby Bargains," LuciesList.com and BabyCenter.com, are also useful. Finally, we also took into account parents' reviews from Amazon.com, Walmart.com and BabiesRUs.com in order to get a better handle on real-world use. While looking at these resources, we evaluated ease of use, safety and lifestyle factors to help us pick the best car seats. Adequate height and weight limits. LATCH system for easy installation.